Our family immensely enjoyed The Bible series last year and are now thrilled that they same producers, Roma Downey and Mark Burnett, are bringing Jesus to the big screen in the new movie Son of God! Just released last week to theaters everywhere. Award-winning actor Diogo Morgado portrays Jesus as the film spans from his humble birth through his teachings, crucifixion and ultimate resurrection. The movie is action-packed with special effects, powerful acting, and beautiful cinematography. It marks the first major motion picture about Jesus’ life since Passion of the Christ, released ten years ago. The biggest names in Christian Music collaborate to accompany the story of Jesus through song. ‘Son of God: Inspired by the Epic Motion’ features exclusive songs by Francesca Battistelli (LOVE HER!) and Chris August plus hits from for KING & COUNTRY, Big Daddy Weave, Sidewalk Prophets and more! Also watch for their upcoming Bible: Son of God Tour 2014! AND the original motion picture soundtrack with music composed by Hans Zimmer and Lorne Balfe and vocals by Lisa Gerrard from the major motion picture Son of God, the soundtrack has a unique and motivational inclusion featuring the words of Jesus! Visit www.SonofGodmovie.com and www.SonofGodresources.com for more information. 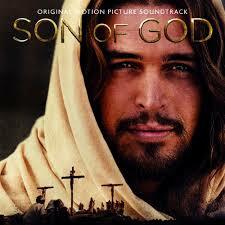 WIN 2 Movie Tickets & Son of God original motion picture soundtrack CD! I received these items for review. All opinions are my own. This giveaway will end on March 19, 2014 at midnight EST. 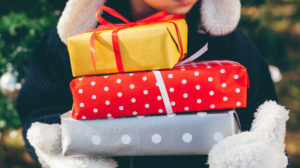 Winners will be drawn via rafflecopter. Once a winner is drawn I will contact them and they will have 48 hours to reply before I draw a new winner. Giveaway is open to anyone in US and you must be 18 years of age or older. Giveaway not affiliated with Facebook & I release them of liability. Winner will be posted in the rafflecopter widget. Are you a Hummus Addict? Tribe Hummus Giveaway! We are looking forward to seeing this movie!!!! Definitely looking forward to seeing this. Can't wait to see this fim. Especially during the Easter season. This is an excellent movie. I've seen it once and I'd love for some of my lost friends to see it as well. I am excited to see this movie cause of the the directors that have made the movie I am a big fan of her and her husband. I would like to take my mom to see this. I am very very excited to see this movie...I heard it was very moving. I will go with my husband to see this great movie, cannot wait to see it. I'm really interested and intrigued to see what the buzz about this movie is actually. I am really excited to see it. My daughter really loved The Bible series, so she is probably more excited to see Son of God than I am. I'd like to take my mom to see this. I'm looking forward to seeing 'SON OF GOD' with my wife. Because we like Bible related movies. Yes, this movie looks excellent. I am looking forward to seeing this movie with my family. Thank you! I cannot wait to see this movie (whether I win the tickets or not!)! I have not seen the movie, but it sounds amazing. this would be great for my dad to take my daughter! Comment as you wish ~ excited to see this movie?! looks interesting...why not? I am very excited about seeing it! I totally want to see this movie. Passion of the Christ was amazing, but I LOVE Roma Downey! I would love to win and take my grandma to see this. She has been wanting to see it. I haven't seen this yet, but I think it looks like a powerful movie and I am excited about it! My husband and I were just talking a few days ago about maybe seeing this movie, thank you for the chance to win some tickets, that would be perfect! I really have (by my own unfortunate choice) moved God to the back burner in my life and would LOVE to see this. I hope it will inspire me to get back to where I belong! I'm excited to see this... seems like a great date night film too!!! Would LOVE to see this movie!! I hope it sticks to the facts! I haven't seen it yet, but I look forward to it! My husband wanted to see it last weekend but it didn't work out. We haven't given up yet. I haven't yet seen the movie and I'm very excited to!! I would like to see this movie with my daughter or mother. YES I WOULD LOVE TO SEE IT! I would love to take my mom to see this. She's really been looking forward to it. I would love to see this movie, it looks like a great movie for the Easter season! Saw it, loved it! I wouldn't mind seeing it again. I am thrilled to death religious movies are finally on the big screen. Sales people would call selling Christian movies and I told them if they put the on the big screen people will come. So wonderful. i am so looking forward to see this movie with my husband. Really want to see the movie! Yes i am excietied to see this movie. I have not seen this yet, but I'd like to see it. Haven't seen it. Look forward to it. Thanks for the contest. I really want to see this movie. I hope it is inspiring for lots of people. My mom saw this movie and is absolutely in love with the last song, played during the closing credits. I would LOVE to be able to give her the CD for Mother's Day! Love to see it in a movie theater. my husband would like to see this. Not something I'll ever see but my mum would enjoy it so this would be for her. She could use a treat. Thanks for the giveaway. I haven't seen the movie, but really would love to! I'm usually out of the loop and didn't even realize it was out in the theaters until just this week. I'd like to see this! We would like to go see it. Some friends have said that it was pretty good. I am so excited to see this!! I've already seen it! It was so good and so moving! I am very excited to see this movie, I plan on taking my mom and she's been wanting to see it as soon as she heard about it. I'm really excited to see it! This looks really interesting to see! I am excited to see this movie and am so excited to see more movies like this one coming out.